I love the beach. It’s my chill place. My happy place. My contemplative place. My rejuvenating place. My restorative place. My everything. I am a whole different person at the beach. 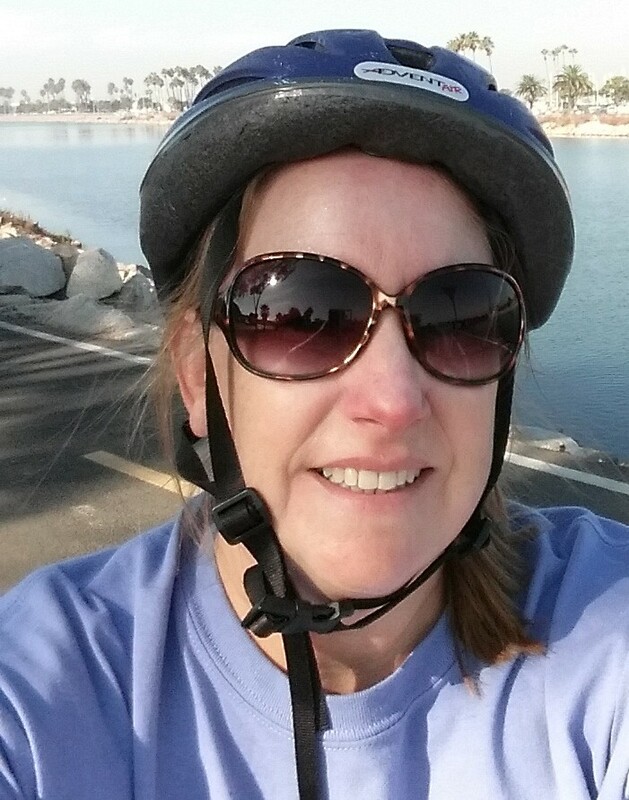 I went biking at Newport Beach a few years ago with a friend. We loaded our bikes in her van and ventured from our LA address to the OC. She has known me for years but this we have never enjoyed the beach together. The look on her face as I got into beach mode cracked me up. She just kept saying “you are so different at the beach.” It was a compliment. I was funnier. I was more relaxed. I was more me. My moments at the beach reminded me of the “chill” we can find in life. The quiet of hearing only waves crashing. The healing power of sand under my toes. The calm of watching birds fly overhead. The delight of seeing a dolphin. I am chill at the beach. It’s easy to find “chill” there. My goal is to find it more in other places as well. I can’t get to the beach everyday but I can seek “chill” everyday. Time in God’s word. A cup of tea while I pray. Listening to a sermon online. Sitting outside and seeing the beauty in creation. Taking a nap. Talking to a dear friend at the heart level. I hope you find your “chill” today even if you aren’t at the beach. Not sure if any of you who follow my blog watch this show. Personally, I love it. I am a product of the TV generation. I grew up watching TV a lot. I still watch quite a few shows. However, I don’t just watch, I allow their stories to resonate with me and I seek applications in my own life. Watching a show to escape has its place. Watching a show to learn is why I watch Grace and Frankie. Before I continue, this blog contains spoilers so don’t read on if you haven’t finished the current season. Also, if you haven’t watched this show, I will inform you that there is foul language in the show and a married gay couple. That said, read on. I just finished the current season which ends with (SPOILER) Grace (Jane Fonda) and Frankie (Lily Tomlin) sitting on blue Adirondack chairs in front of their recently sold beach house. The scene sucked me in. They had gone through the wringer is this last episode. They escaped from their retirement home and returned to their real home on the beach only to find a SOLD sign. The moment they sat in the chairs they held hands and sighed. When I am in the midst of tough times, I just want to sit on the beach. How much more wonderful to sit on the beach with a best friend. They have one another. Life is hard. It doesn’t get easier. It just keeps coming. Some months, or years, it just keeps throwing punches. If you have a friend to walk through it with, it’s manageable. Of course, our ultimate friend who gets us through all things is God. He is my rock. My fortress. My comforter. My healer. My friend. My all. My friends on earth are “God in the flesh” to me. They are the ones who hold my hand as I sink into my chair on the beach and sigh. The ones who repeat truth to me over and over again (you are going to get through this, you aren’t alone, I’m here and so is God). Do you have these people in your life? Do you have at least one? We all need at least one. In this show, they have other friends, and even grown kids, who are in their life. Yet their bond to one another, trumps them all. They had similar experiences which is why they were thrown together in the first place. You don’t always need that to bond. Shared experiences help though. One of my lifetime friends says we are friends with history. We can start in the middle and because we know the past, we can keep up. I just wanted to encourage you today to take stock of your friendships. See if you have a Grace or a Frankie in your life. Someone who will hold your hand and sigh on the beach when life knocks you down. If not, find that friend today. Start by being vulnerable with someone already in your life. If the water is safe, keep treading in deeper and deeper. It’s worth the risk. My friends – I’m excited to send you a guest blog this week. Kathy Collard Miller, author of Pure Hearted that I blogged about last week, sent me a blog to send to you. I hope you enjoy her teaching this week. Thank you Kathy. God is often glorified in the eyes of others when I stand strong emotionally; when I can face difficulties and trials with confidence in God’s sovereign strength. But that strength is often blocked by by my desires demanding affirmation of my value, assurance I’m loved, and attention so that I’m not ignored. If I don’t direct my “wanting” to trusting God’s supply (and not others), I crumble emotionally. That’s what happened to the disciples. I can surely understand the disciples’ terror. Even though most of them were seasoned fishermen, this storm was obviously way beyond their comfort zone. They knew fishermen who had perished in storms like this. The boat was not just taking on water—it was “already filling.” As they looked around for help, what did they see? Jesus asleep on a cushion. The man who should have been the first to take care of them was completely oblivious to their need and fear. I can only imagine how “they woke him.” Did they jostle him? The boat was already being jostled. Did they call to him? The sounds of the wind were already screaming. Did they grab him and shake him? That’s what I would have done. Out of terror. How poignant, especially coming from men. Women are more prone to ask, “Please tell me you love me.” For these men to get in touch with their heart’s cry is astounding. When that is our attitude in the midst of the storms of life, God is glorified. Pure Hearted will inspire you to focus on desiring God’s glory and enjoy the benefits without guilt—benefits like seflessness, security, satisfaction, surrender, stability and self-control, along with others. Filled with biblical principles, practical instruction, and motivational stories, Pure Hearted is written for women. Every chapter includes a profile of a biblical woman along with discussion questions for groups or individuals.